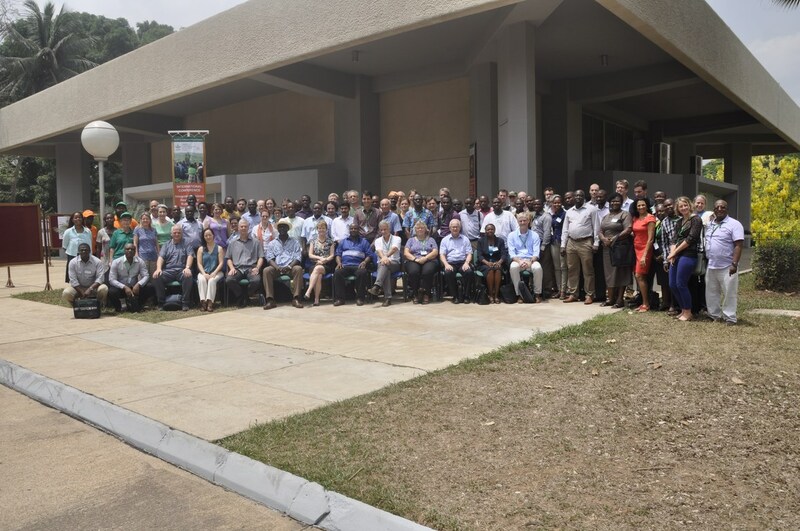 From 4-7 March, IITA hosted the global systems research and development community at the International Conference on Integrated Systems for Sustainable Intensification in Smallholder Agriculture. Social and agricultural scientists participating in the conference are stressing the importance of agricultural research to be done with a holistic systems perspective, and for better links between research on improvements in specific commodities and natural resource management. Group photo, Integrated Systems Conference, IITA, Ibadan. Participants advocated strong partnerships and stakeholder involvement through mechanisms such as research-for development and innovation platforms as essential ingredients for enabling the systems approaches to be scaled out for the benefit of millions of farmers. “This gathering of scientists from over 30 nations demonstrates our commitment to help farming families to tackle poverty, hunger, and environmental degradation by using a fully integrated systems approach that develops and tests, with farming households and development partners, feasible combinations of technical, market, governance and policy options capable of improving agricultural livelihood systems,” says Dr Kwesi Atta-Krah, Director, Humidtropics, a CGIAR Research Program. partners for the enhancement of sustainable intensification of agricultural systems. The conference was organized by the CGIAR Research Program on Integrated Systems for the Humid Tropics (Humidtropics), in partnership with the CGIAR Research Program on Aquatic Agricultural Systems (AAS) and the CGIAR Research Program on Dryland Systems (Drylands). http://humidtropics.cgiar.org/international-conference-integrated-systems/.